Google wants to shut down our safe calling & texting features! Update #2: We now offer a full version of Boomerang with all our popular features – download here. Download today and sideload to you child’s device (it will update your Google Play version too!). Update #1: We received confirmation from Google of an extension until March 9th 2019. 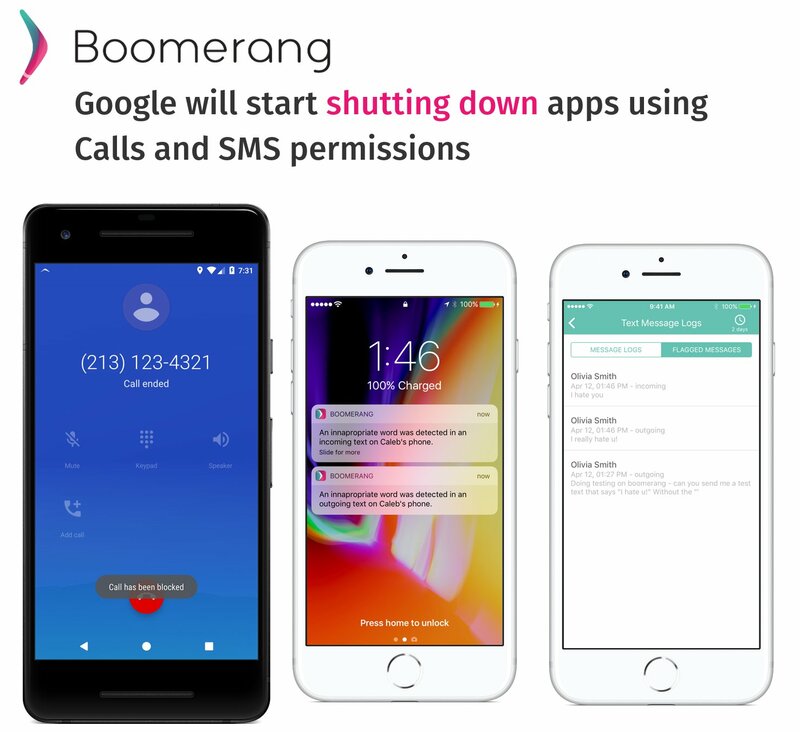 Boomerang uses the Call Logs and SMS permissions in a transparent manner (discloses & prompts for access to them on install) as we need these permissions for our safe calling and safe texting features. Visit our post in our support page where we are allowing users to share how they value our call and text monitoring features. 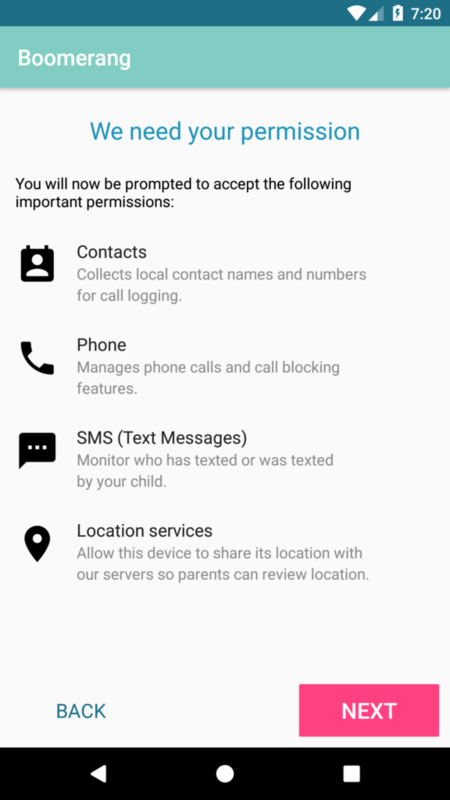 Boomerang’s permission explanation when setting up Child Mode. We have filled out the paperwork and await Google’s decision. However, we are mystified at what Google means by stating that this must be Boomerang’s “core” functionality. That’s like having 3 kids and Google asking, which kid is your favorite! We love all the features in Boomerang equally and I am sure that you do too. If you use our safe calling and safe texting features, please make a comment in our community post and tell us (and Google) that you deem this “core” to Boomerang.